"How I Found My Style Sundays" will be back next week. I have been busy lining up new features while trying to get the dining room completed and my boys ready for back to school. Ekkk! So I apologize for not having a fabulous feature for you this week. I do want to take a moment though to welcome back my blog Sponsors! I took the summer off from accepting blog sponsorship and am truly honored to have these ladies back on board. If you love candles and tarts then Folky Art Candles is certainly a shop you will want to visit! April is a doll and has the most amazing smelling tarts and candles ever. 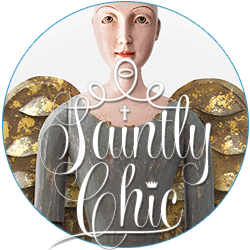 Santos Cage Doll carries the most beautiful Santos dolls you ever seen and accessories from wings to crowns. They make the perfect gift for that someone special. The Magic Brush is your one stop for DIY videos that show you how to transform your home in no time! Thank you ladies for your continued Sponsorship! If you are interested in becoming a sponsor of From My Front Porch To Yours click here to find out more information. 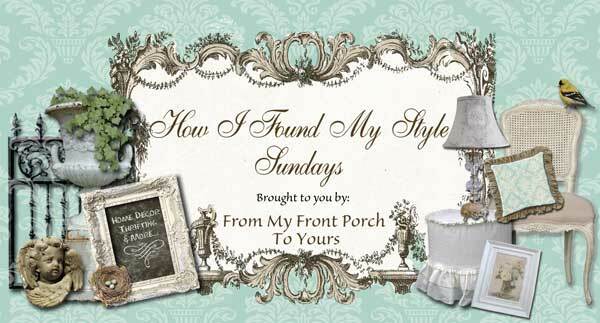 Also do not forget if you have a home decor blog and are interested in participating in "How I Found my Style Sundays" email me at frommyfrontporchtoyours@gmail.com. I love new places to check out! Your link to the Santos Cage Doll actually links to the candle Etsy shop. You might want to fix it.